Exactly two years after the bank failure that triggered the meltdown, former Lehman exec Lawrence McDonald shows how those events cost taxpayers $60 billion—and a new round of headaches today. Exactly two years after the bank failure that triggered the economic meltdown, former Lehman exec Lawrence McDonald, author of the bestselling A Colossal Failure of Common Sense, shows how that day’s events cost taxpayers $60 billion—and a new round of headaches today. Almost precisely two years to the day you're reading this, Richard Fuld sat back in his leather armchair on the 31st floor of the Lehman Brothers headquarters, off Times Square, dumbfounded by a game he had just played and lost. After 30 years on Wall Street, and countless games of high-stakes poker, often with billions on the line, Treasury Secretary Hank Paulson had called his bluff, leaving Fuld with a pathetic pair of pocket twos. After that, he became the snarling face of this financial crisis. But more germane, those events led directly to the bailout of AIG, a twist of fate that is still creating headlines and headaches this very day. As reported in The Wall Street Journal and elsewhere, the U.S. is frantically trying to come up with a plan that will get taxpayers out of the insurance business, but that paradoxically will require the U.S. government to temporarily up its ownership stake past 90 percent. The government never wanted to own this much of AIG, or any other company, but it’s in a bad spot, and if they try—emphasis on try—to get their money back, that’s how much they’ll need to own. Getting rid of AIG of means owning more of it. That’s the bailout math. Did it make more sense to lend AIG $180 billion when they have $60 billion in collateral, instead of lending $30 billion to save Lehman? And it’s an equation that started during the most fateful week in the U.S. economy since October 1929. On September 15, 2008, Lehman Brothers was executed... bullet in the forehead. Roughly 25,000 people had their careers incinerated. To some, a lifetime of work. Down came the biggest bankruptcy in history—$660 billion—bigger than Enron, Worldcom, Adelphia, Chrysler, and General Motors combined. The 158-year old investment bank, where I once traded distressed bonds, ceased to exist. Fuld had misjudged his man. Paulson had a couple aces in the hole, one on Park Avenue (J.P. Morgan’s Jamie Dimon), the other at 85 Broad Street (his former comrade, Goldman's Lloyd Blankfein). As a trader who had been in the action, taking big risks, I can tell you there is no better asset than a direct line to the trading floors of Goldman Sachs and J.P. Morgan. In the end, it was these powerful figures who gave Paulson the misguided confidence to shoot Lehman. Fed Chairman Ben Bernanke, Chris Cox, and Geithner were merely spectators. They all should have known better. A Lehman Brothers executive I spoke to and know personally told the group, "you don't know what you're doing—you will unleash the forces of evil on the global financial markets." Bernanke, cleaning up for Paulson, claimed that Lehman Brothers lacked the sufficient collateral the Fed needed to continue lending to them: Lehman was under the modern equivalent of a bank run. But then, on September 17, 2008, AIG needed bailing out, triggered by Lehman's demise. The Federal Reserve claimed that AIG had enough collateral to justify being saved, whereas Lehman didn't. Bernanke continued to make this claim last week, in his testimony to the Financial Crisis Inquiry Commission. So let’s examine the math. Did it make more sense to lend AIG $180 billion when they had $60 billion in collateral, instead of lending $30 billion to save Lehman? Saving Lehman would at the very least have made the AIG bailout much less expensive. The Fed deliberately put the U.S. taxpayer on the hook for $120 billion. True AIG had “more” collateral than Lehman. But Lehman didn’t need $180 billion—it needed $30 billion. By letting Lehman fail, they created a run on AIG. Lehman had over $400 billion in credit default swap contracts with AIG, and over $6 trillion with the world’s largest banks. The other part of the deception is the untold truth, both our Fed and Treasury did not have anywhere near the appropriate grasp of Lehman’s counterparty risk to banks around the world. They had an even poorer grasp of AIG’s credit default swap positions and what might happen to them if they let Lehman fail. Bernanke’s point about saving taxpayer money is very deceptive. AIG was thrown into a much bigger run caused by Lehman’s failure. Letting Lehman fail cost the U.S. taxpayer an extra $60 billion. Even an out-of-touch Richard Fuld knew this. There’s no way he figured that the Harvard-educated Paulson, former CEO of Goldman Sachs, would levy a fine so massive on the American public by deliberately executing Lehman Brothers. If Fuld had not misjudged Paulson quite so badly and sold Lehman, today, I have a feeling, we'd be fawning over the sheer guts of the man. His Academy Award winning performance in front of the Financial Crisis Inquiry Commission last week was something to behold—you’d never know he went down for $600 billion, sparking the pain we’ve endured for the past two years. 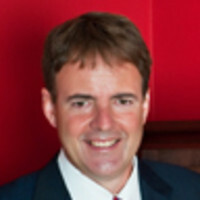 Lawrence McDonald is a managing director of Pangea Capital Management and the cofounder of Convertbond.com. He was, until 2008, vice president of distressed debt and convertible securities trading at Lehman Brothers and wrote the bestselling A Colossal Failure of Common Sense.